Home » Post tagged "Money"
Below is some of what we shared on Saturday’s Manifesting Excellence call/audio. The first question was from a single mother of 21 years who was finding money hard work to attract into her life. The next question was by a woman who was finding she was giving to her friends and family but people weren’t reciprocating to be there for her and she was feeling out of balance about it. I also then followed on from the online TV show last week and shared more about Authenticity when it comes to attracting what you want. – Do you identify – your identity and self image – with surviving and struggling, or thriving? – Does having money mean other complications or problems? – Are you ok to receive what you want? – Others not aware about caring for you? Many people go through life fearing what happens, whether it be by the ending of a relationship or job, being in debt or financial challenges, health situations, and the problems encountered in day to day life. All of these situations require change and transformation within ourselves to transcend them. On this Saturday’s Manifesting Excellence call we will be sharing some techniques that you can use to quickly do this. In addition to the techniques on the call, how can you embrace change more easily? 1 – Realise that change is natural… in fact NOT changing is against your flow and is painful – it leads to discord within yourself and dis-ease. 2 – Have the awareness that every situation that you experience has the seed of a greater transformation for you. Much like in the past, you will deal with this. And you will have grown in the process. HOW you deal with it and grow is your journey. On Manifesting Excellence we aim to provide tools to help with this and make it easier. 3 – Not only will you change and grow, but have the intention that you will THRIVE AND PROSPER. Life is not about fearing change at every turning corner. It is embracing it, transforming yourself and looking forward to every breath of life you get to experience. Related post: Want to Improve your Cashflow? Money is the label of an agreed commodity for economic exchange. It is one means – one of many means – with which the universe can bring you what you are a match to. If you are open to believing that the economic and physical world is NOT everything there is (and it isn’t), there is a lot more happening underneath the surface of what you see in the world around you and in your life. It’s about getting in tune with the undercurrent of your relationship to money and abundance in your life. The undercurrent is shaping what degree of prosperity (not just money, but ALL prosperity) you allow into your life as well as the aspects that you experience of the world around you – whether there is a constrained flow and experience or an expansive one. An expansive flow is available to you not by what is happening in the world around you but by what is happening in the world within you. On this Saturday’s Manifesting Excellence call/audio I have received some questions about dealing with hurt from relationships in the past, getting into the flow of abundance in addition to others. If you’d like to access the call or the audio download afterwards you can do so at Manifesting Excellence. Want to Improve your Cashflow? – What would you like? How would you like it? Get as specific as you can? - The key thing is your alignment, not whether too much or too little – what feels the best and most desireful? - Does it feel better or worse to do less? How about to do more? Want to have things happen in your life more quickly? Want to have what you want come faster? 1 – About what I want, do I really want it? How do I naturally feel about it? 2 – If what I want was in my life right now, how would I feel? Does it feel comfortable, exciting, or scary? 4 – Am I attached to when it comes, how it comes, where it comes from? Why? 5 – Is what I want aligned (and not in conflict) with other goals and desires that I have? As I think about it, how can what I want add value and compliment everything else? Conflcts are a perception on some level. You are wanting what you want to be supportive and complimentary and ADD energy to everything else, not take away from it. This way it will be exciting and every other part of you will WANT you to succeed, rather than having parts of you sabotaging it because they are in conflict. You want it so that every aspect of you is in alignment and supportive of your goal and desire and that this is your path, the best way forward for you at this time. 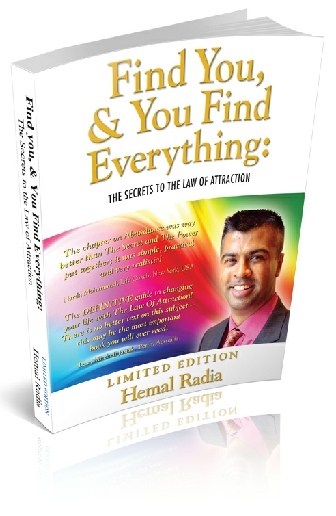 We will be covering “How to’s” and techniques on the “Mastering the Law of Attraction” course starting next week (Postnote: It is now available as an audio download via the same link) and talking more about this as well as what to do with the answers to the questions above on the Manifesting Excellence (which includes the “Mastering the Law of Attraction” course as a bonus). I was on Estra Roell and Kathleen Martin’s Coach Cafe radio show yesterday where we talked about a variety of topics including how we often manifest ‘incorrectly’ in trying to attract the things we are wanting, living from our purpose, how to follow our ‘essence’, whether to take physical actions or follow our inspiration or both – and how to do this, relationships, money, and a lot more. On 17 & 18 November this year we are running a live event on the beautiful Gold Coast in Australia…”Law of Attraction in Australia“…and you are welcome to join us! It will be an opportunity to attend a very special seminar where you can learn more of the ‘secrets’ of manifesting what you want and also meet fabulous like-minded others! Two years ago we did a Las Vegas event where the spirit was phenomenal and life-long friendships were made. Our intention would be that to create a very special experience for you. Please do let family and friends know (there is also an affiliate program in place). As well as attending a live seminar with me and the content I share, our aim is to have this as a wonderful meeting place for all that want to meet each other in person. Just to let you know that, based on a request sent in, this Saturday's Manifesting Excellence call will be about "Integrating Realities". 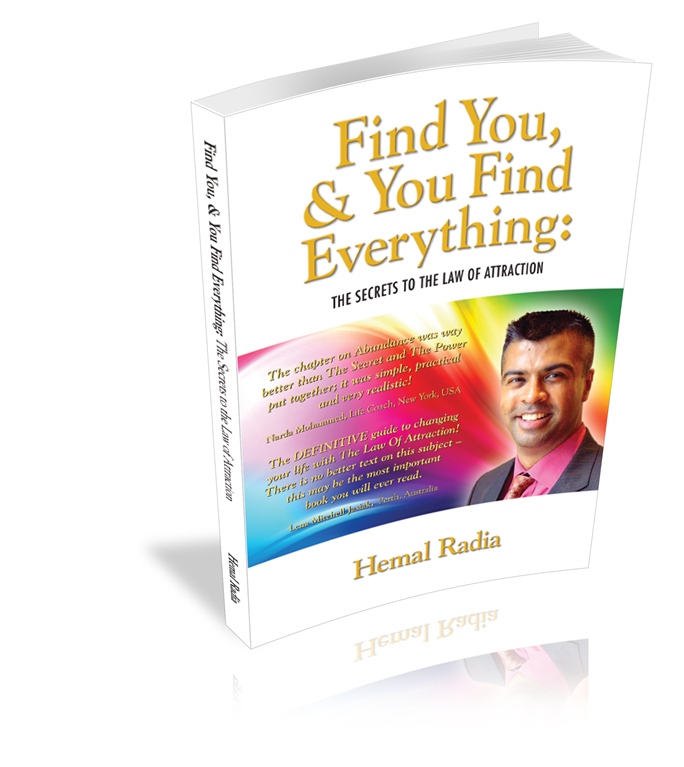 If you'd like to register for it you can do so at www.hemalradia.com/manifesting. Upon registering on the trial access you can listen live and/or get the audio within 24 hours of the call as well as have access to previous weekly calls, including on subjects such as Money, Relationships, Spirituality, Letting go, Life/Death, Family issues and Manifesting successfully. On this week's "Integrating Realities" call we will be talking about how to integrate two realities together, for example where you are and where you want to be, or resolving two or more conflicting paths, and much more. FREE Manifesting & Law of Attractions Podcasts go Top 5! I wrote to you earlier last week about free new podcasts of mine that my friend and podcast expert Ali Wylie had been putting online, within a few days they went to number 4 position on Podomatic website’s Spirituality category! 1 – On iTunes at http://itunes.apple.com/gb/podcast/manifesting-law-attraction/id544488188 – do be sure to rate and comment on them!